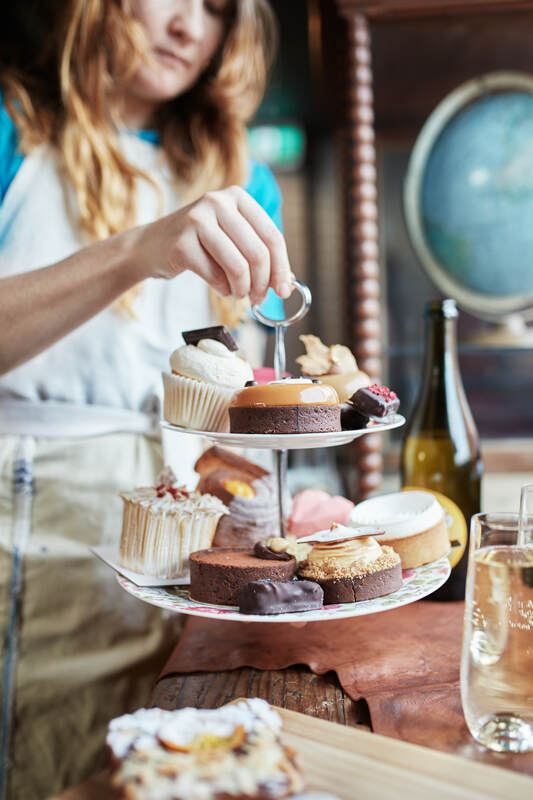 “Don’t feel up on savouries first” is always my advice when attending a high tea. 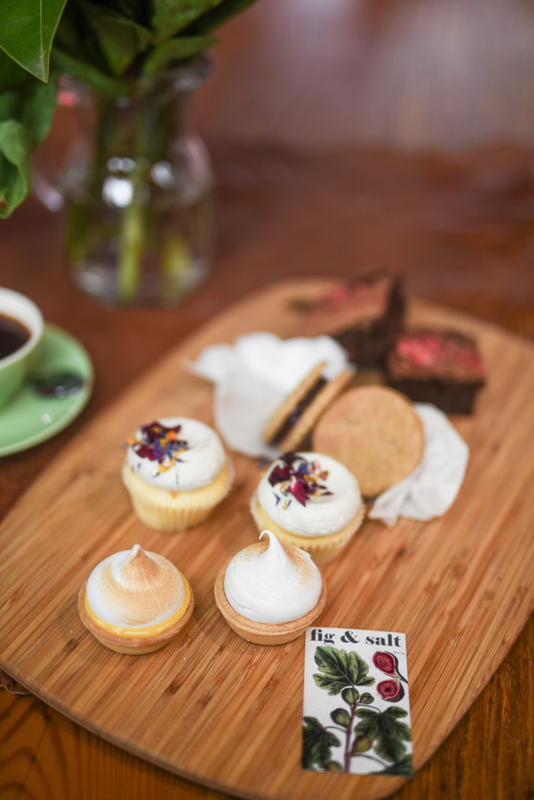 But it’s hard to say no when you have a such a strong sweet and savoury pair like we did at Grub Sweet Set last Sunday.Grub is one of those ecletic venues which is so unapologetically Melbourne. 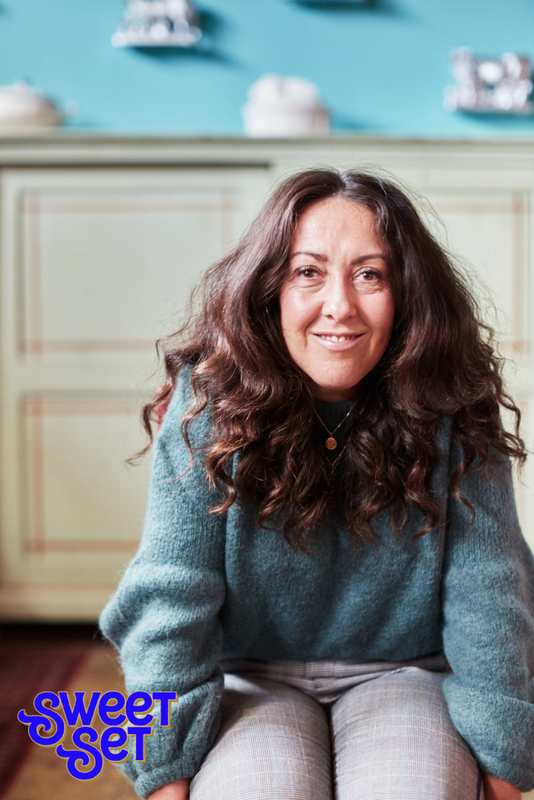 Downstairs is a greenhouse styled area filled with plants, picnic tables and eclectic furnishings, while upstairs is a more intimate affair, cosy yet still bright and full of personality and charm. By mid morning Grub is packed to the rafters, full of Fitzroy locals fuelling up on breakfast for the day ahead. But it wasn’t the big breakfast we were going for this time, it was for Grub’s Sweet Set. 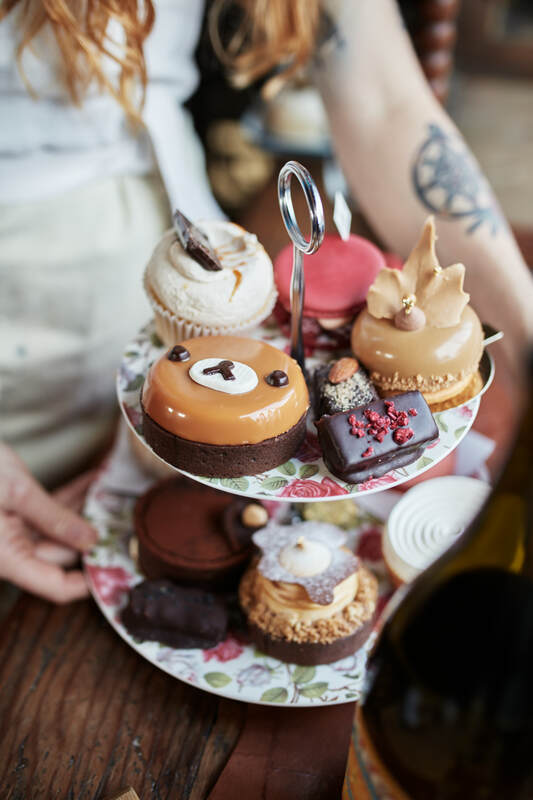 After a sell out in 2017, the event is on for the second time this year and Grub has teamed up with some of Melbourne’s best bakers and pastry chefs including Pierrick Boyer, Sticky Fingers, Don’t Lose your Temper, Luxbite, Bibelot, over nine Sundays to create a series of decadent of high teas. 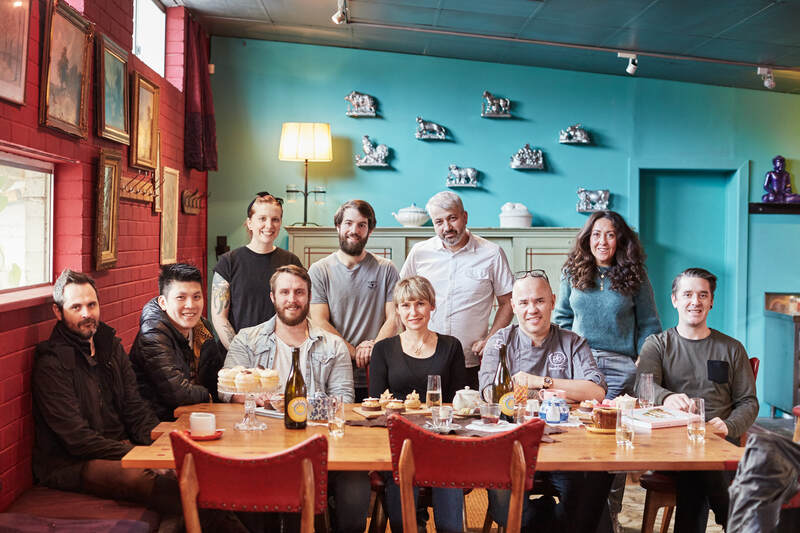 Each guest chef will get one Sunday to dazzle guests with four sweet treats (some not even available in their own eateries) while Grub’s own chef Ben McMenamin will serve up four of his own savoury bites to compliment the guest chef’s dessert menu. A glass of Puncheon Darts proescco is served on arrival, followed by a starter to adequately line the stomach – a ridiculously moreish fava bean and baba ganoush dip paired with parsnip crisps. 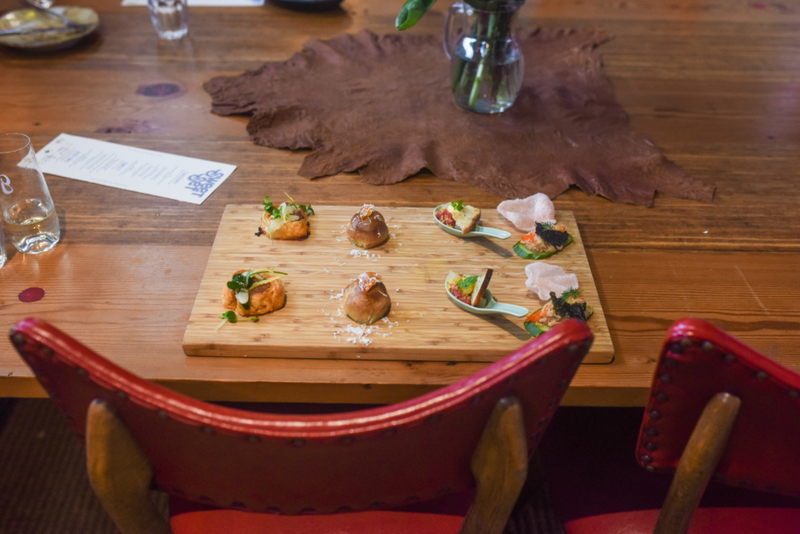 To continue the savoury affair, we enjoyed a platter full of gourmet goodies complements of McMenamin. The chorizo spring rolls were my personal favourite, the buttery flaky pastry smothering a generous filling of spicy chorizo teamed with preserved lemon and wood sorrel. A blue cheese profiterole was equally pleasing, light, fluffy and so creamy at the same time. A smoked fish pate was simply served with cucumber and a prawn cracker, while the beef tartare was teamed with cured egg yolk. 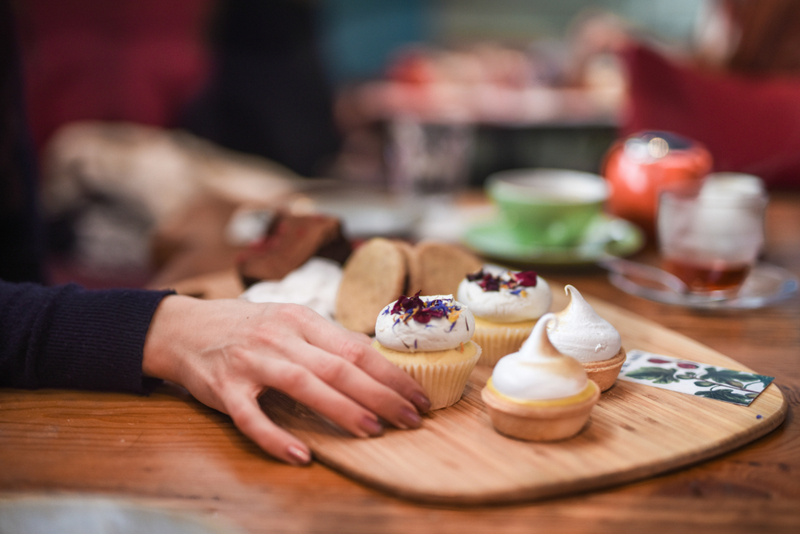 After a few deep breaths, we inhaled, stretched our bellies and got prepared for what we really came for the – the desserts from the incredible Fig and Salt. The Hazelnut Shortbread Cookie Sandwich was like an naughty adulterous version of a simple shortbread – slightly chewy and crumbly at the same time and filled with a generous layer of salted chocolate ganache and raspberry jam. The brownie was one of the best I have had in a long time and was ridiculously moist, rich and oh so delicious studded with fresh raspberries. 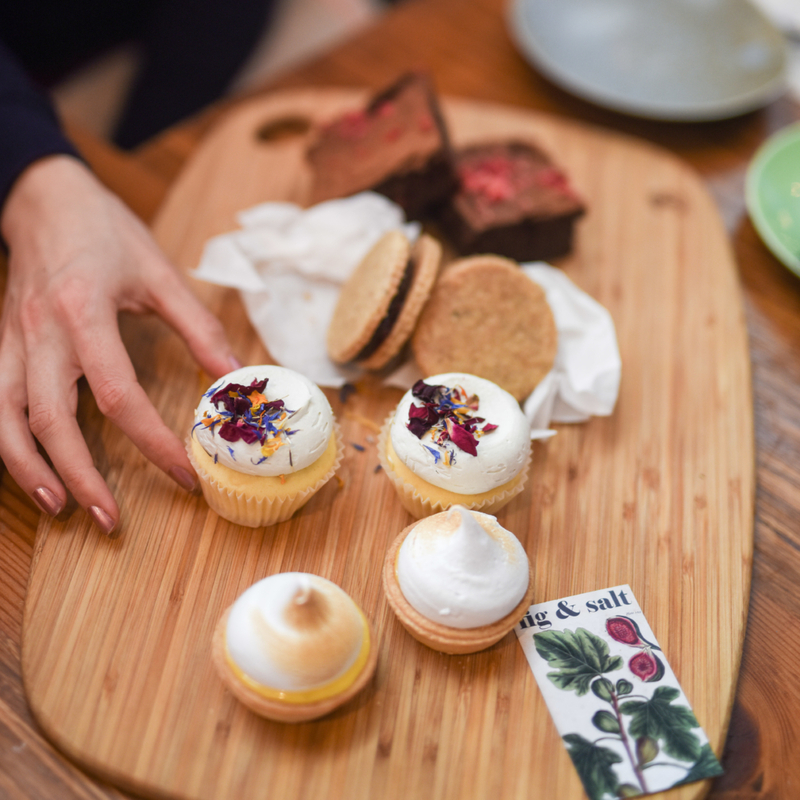 Fig and Salt are particular famous for her cupcakes and the vanilla buttermilk cupcake didn’t disappoint , nor did the lemon passionfruit and meringue tart, the former topped with vanilla bean frosting and edible flowers.